New article published on "Smart Insights" online journal. Smart Insights helps business owners, marketers and digital marketing specialist improve their commercial results from using digital marketing. 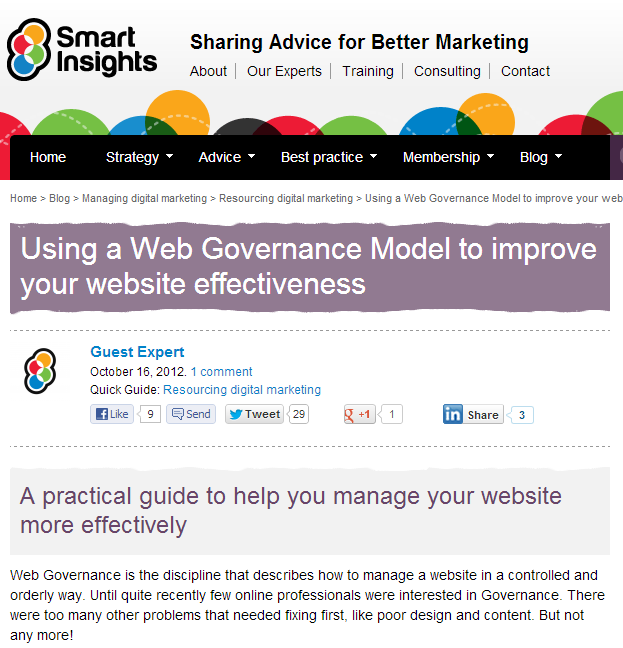 Dave at Smart Insights invited me to write an overview of the concept of Web Governance for his members. No problem, says I. Go to Smart Insights to read more.